Deliver the seamless, connected experiences your customers want, powered by Genesys – leading the world in innovation and customer support. Extraordinary customer experiences, from the global leader. Genesys powers more than 25 billion of the world’s best customer experiences each year, and is the only company recognized by top industry analysts as a leader in both cloud and on-premises customer engagement solutions. For the ninth straight year, Genesys has been positioned as a leader in the 2017 Gartner Magic Quadrant for Contact Center Infrastructure, Worldwide. Gartner placed Genesys highest amongst all vendors in ability to execute and completeness of vision. Genesys has also been named a leader in the 2017 Gartner Magic Quadrant Leader for Contact Center as a Service three years in a row. Companies of all sizes are turning to contact center as a service (CCaaS) solutions to drive their customer experience success. The only company named a leader in both reports, Genesys received highest scores in the current offering category as well as for omnichannel capabilities and reporting and analytics criteria. By 2019, requests for customer support through consumer messaging apps will exceed requests for customer support through social media. Leverage a single omnichannel customer experience platform with persistent context. 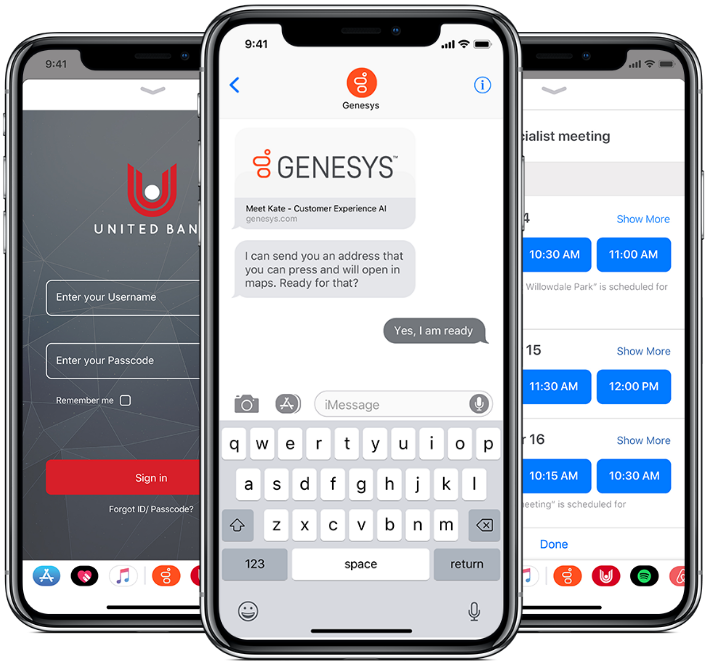 Provide integrated agent assistance and a rich agent experience with full awareness and context using patented Blended AI by Genesys, including Customer Service AI known as Kate. A smart device is always within reach. So, it’s not surprising that mobile messaging is one of the fastest growing support channels. Today’s consumers want hyper-personalized support, and only Genesys can deliver the seamless omnichannel customer journeys that build lasting relationships.